This is my vision for the perfect keyboard. 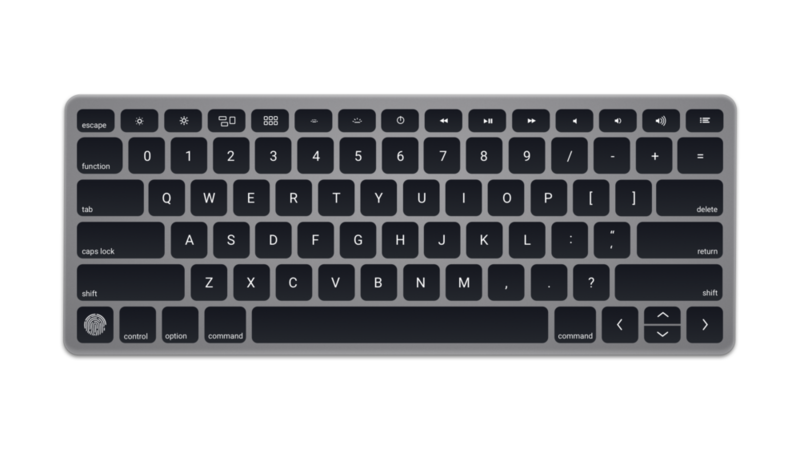 I based my design on the iconic Apple wireless keyboard which is the one closer to my concept. While symmetry was the main goal, I wanted to implement some other features that the existing keyboard lacks such as, a fingerprint scanner and to physically join the keyboard and trackpad into one, to make for a simpler user experience. I redesigned and recalculated the size and the placement of each key, to end up with a totally symmetrical result while not compromising on ergonomics and ease of use.